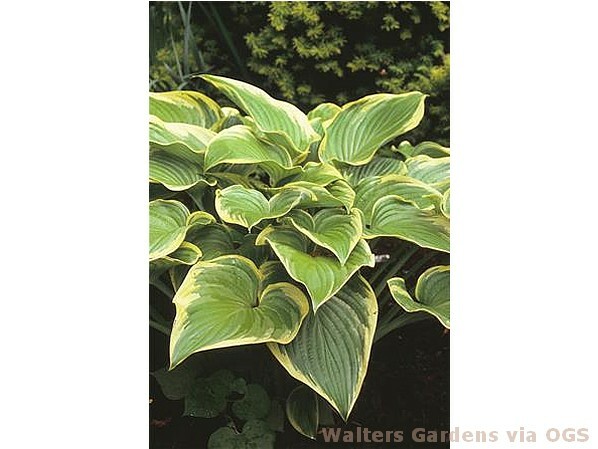 Product Information : With age, becomes a giant hosta with shiny, green leaves displaying yellow margins. Upright foliage early in the season, broadly spreading later on. Flower scapes are very long and arching with lavender flowers. Mature Size : 30" x 40"